Scotland international Huw Jones has penned a new deal with Glasgow Warriors that will keep him with the Pro14 club at least until 2021. The 6 ft 1 in centre started his professional rugby career with Western Province in 2014 with his Super Rugby debut with Stormers coming a year later. The 24-year-old signed off with Western Province in 2017 with a Currie Cup victory following which he shifted to Glasgow Warriors. He is also drafted to Currie side in the Scottish Premiership for the 2018/19 season. "I'm really happy to be staying for another two years and hopefully we can win some trophies. You're managed very well (playing in Scotland) and it does help that you're closer to the Scotland coaches," he told Glasgow Warriors TV. "The coaching set-up here at Glasgow Warriors is world class, so it's definitely the right decision for my career. "2019 is going to be a big year for Glasgow Warriors and Scotland, we're going pretty strong in the Guinness PRO14 and we're doing pretty well in the Heineken Champions Cup as well, so if we can keep those two competitions going that would be nice. "With Scotland we've got the Six Nations and Rugby World Cup, so it's an exciting year ahead." 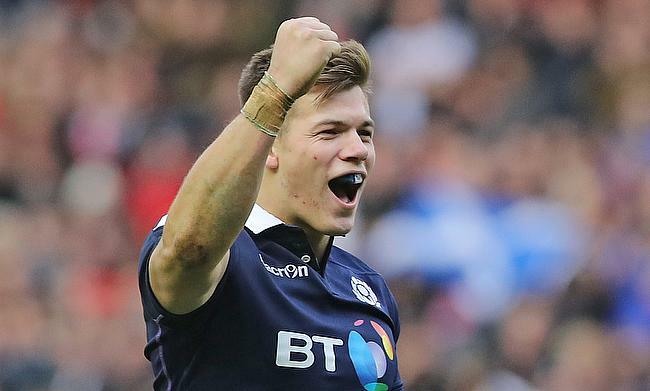 Jones has played 19 Tests for Scotland since his debut in 2016 and has already managed 10 tries in it. "It's great news for the club that Huw has decided to stay in Glasgow," said Glasgow Warriors head coach Dave Rennie.